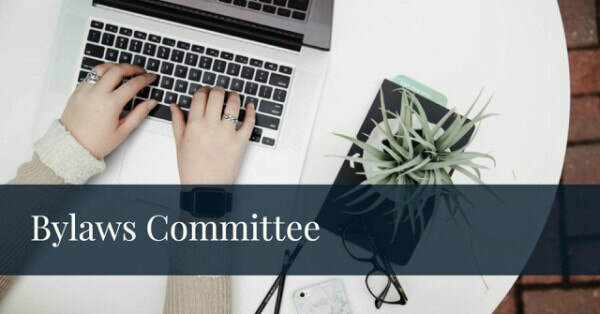 ​The purpose of the Bylaws Committee is to review and initiate bylaw amendments, changes to policies and procedures, and provide recommendations for these to the R2 Assembly. Review bylaws amendment proposals from RR’s, R2 Board, World Conference and Intergroups for recommendation to R2 Assembly. Review all bylaw amendment proposals submitted to the Publications Coordinator in accordance with Article XVI of the Bylaws and printed in the R2 Assembly packet for recommendation to the R2 Assembly. Develop amendment proposal format and text. Verify the appropriateness of R2 Bylaw amendment proposals with the Parliamentarian. Prepare final bylaw amendment proposals and present copies to R2 Secretary in time for regular meeting. Redraft Bylaws as required by R2 Assembly adopted amendments, obtain R2 Board signatures and prepare sufficient final copies for distribution to R2 membership. Expend funds as budgeted to accomplish Bylaws Committee functions. Communicate to the R2 Board through the Board Liaison. Assist Publications Coordinator in tracking changes to Bylaws and Policy & Procedures for production of bi-annual update of R2 Policy and Procedures Manual. Bylaw Committee Chair to chair the R2 Board Recall Committee (per R2 Bylaws, Section X, D).